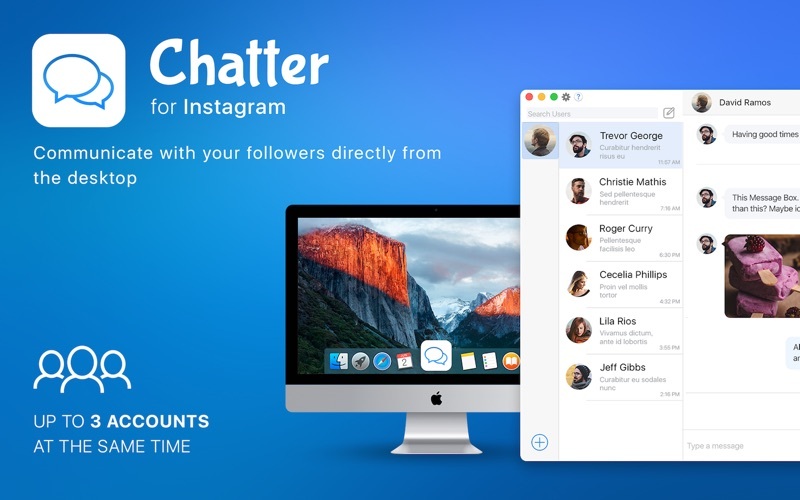 Send and receive direct messages for Instagram from your Mac. 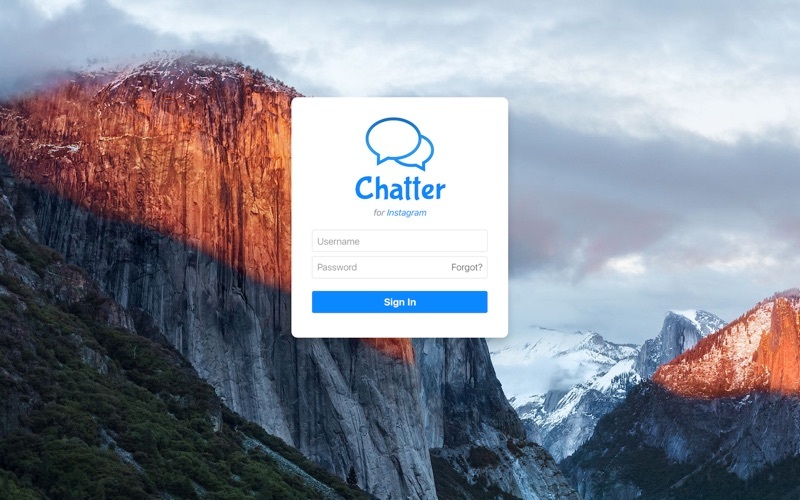 The BEST Mac app that can do that! * Be in touch with your followers!!!! * Up to 3 users at the same time!!! NOTE: An Instagram account is required to use this app. If you don't have one, please sign up from Instagram app on your smartphone. - Every time in a week you can reach your updated reports and if you want to continue getting reports, your subscription should be continued. - Subscription periods are 1 week, 1 month, 3 months and 6 months. Every 1 week, 1 month, 3 and 6 months your subscription renews. - The price of the subscription is 1.49 USD for 1 week; 3.99 USD for 1 month; 8.49 USD for 6 months, and 12.99 USD for 6 months. - Account will be charged for renewal within 24-hours prior to the end of the current period. ** Fixed crash on album sharing preview. 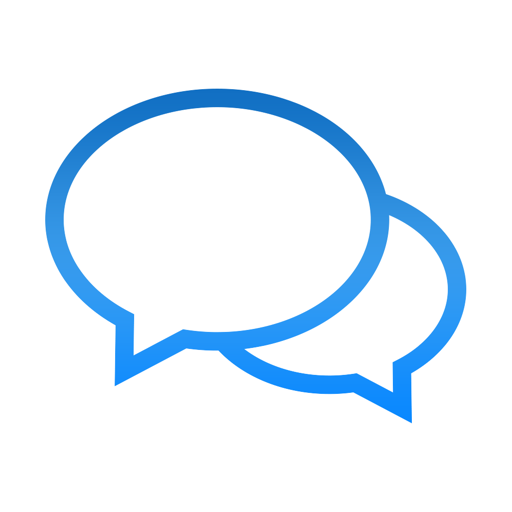 ** Added representation for Stories Comments! Daily Wallpapers - beautiful wallpapers every day!